Get involved in cutting-edge research looking at the most complex computer in the Universe – your brain! The MRC Cognition and Brain Sciences Unit is one of the world’s leading centres of research looking at the brain’s phenomenal capacities in language, memory, perception, reasoning and creativity. 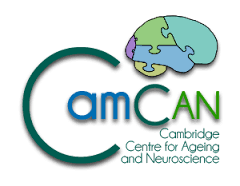 Our research is dependent on keen volunteers who contribute to our studies by completing computerised experiments and taking part in various types of brain scanning studies in our Unit near to the centre of Cambridge. Increasingly we also use on-line tasks that you can complete at home. We are always in need of new volunteers, aged 16+ and are able to compensate you financially for your time. Our research panel is intended to support our research into healthy cognition. With the exception of depression (see below) our research into mental health and neurological disorders recruits volunteers only through health professionals. To register as a new volunteer click on the link at the top right of this screen. What will happen after I sign-up? If you are an existing adult volunteer then you can use the link to the right to quickly sign in to your account and check for available studies. If you experience depression and would like to volunteer to participate in our research, please click here. The CBU Newsletter is produced annually for panel members and visitors to the Unit. It includes articles and information on the results of our research work, to which members of the Panel have contributed, and introduces new teams of researchers and their projects. This website gives a wide range information about our website. Information about research carried out at the Unit and the history of the Unit may be of particular interest. panel.office@mrc-cbu.cam.ac.uk, or by telephone to (01223) 505610. Read more about the volunteer panel here.